Now thought to be worth substantially in excess of £20bn in the UK alone, the market for purpose built student accommodation (PBSA) has enjoyed tremendous growth in recent years. Private student halls, once grouped with hotels and health clubs in an ‘alternative’ investment bracket, have since moved mainstream into an asset class all their own. Peruse the websites of Savills or Knight Frank, and you will find pages dedicated to PBSA transactions. On the ground, universities are increasingly turning to operators of private halls to meet their core demand for accommodation. However, though the future for this sector may seem as bright as Unite’s signature cladding, we may be reaching a pivotal juncture. Brexit uncertainties threaten to erode international student numbers; cities such as Liverpool and Newcastle are at risk of market saturation; and certain universities are becoming increasingly indebted (we’ll return to this later). It is, therefore, worth pausing for thought to see where private student accommodation has come from, and where it might be graduating to. One inescapable reason for the growth in PBSA is the rise in UK university students. In 1920, around 4,000 students obtained an undergraduate degree. By 1970, this had become 50,000, and by 2011, 350,000. We must not forget the role played by rising numbers of international scholars. It is no coincidence that the website of IQ Students is available in both English and Chinese. The other half of the picture is that universities have been struggling to keep up. This is illustrated by the fact that at least one university was forced to accommodate students in Travelodge hotels at the start of the 2018/19 academic year due to the late completion of a new housing block. Plenty of universities now enter into nomination agreements with PBSA providers, under which a certain number of rooms are reserved for their students and a minimum rental income is guaranteed by the university. Unite Students, one of the largest PBSA providers, allots 60% of its accommodation under such arrangements. The other core reason for the first-class performance of private halls includes their relative financial muscle when compared with universities and individual landlords. London-based Chapter, for example, is a subsidiary of Greystar Real Estate Partners, which has approximately $26bn in assets under management. Similarly, Fusion Students was sold to two seasoned property investors in 2018, whilst the same year saw a £180m slice of Watkin Jones’s portfolio sold into private equity hands. 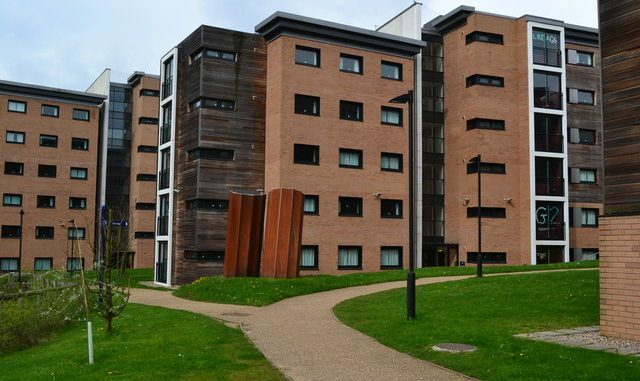 Singapore’s sovereign wealth fund is even involved, having partnered with Unite to purchase Aston University’s student village four years ago. The takeaway, here, is that highly experienced and capitalised parties have had no trouble wrestling in on this market. Additionally, it has been suggested that the rise in university tuition fees in 2012 may have proportionally affected the amount families were willing to pay for accommodation. In other words, PBSA prices didn’t seem so steep when tuition fees suddenly tripled. It is unclear how much force there is in this argument, today. Premium rooms at Chapter’s 33-floor Spitalfields property command a lofty rent of £699 per week; the 51-week contract value of £35,649 is enough to induce vertigo. The Spitalfields figure is hyperbolic, but one of the reasons for PBSA profitability is the high rental charge. Unite didn’t achieve its 2017 pre-tax profit of £229.4m on number of rooms alone. Added to this, in some cases, is the palming-off of certain costs onto universities. Under a nomination agreement, the university is bearing part of the financial risk of the accommodation provision. If too few students book, it will have to make up the shortfall. This, in turn, leads to that university carrying out marketing on behalf of the private provider: another financial benefit. The other reason behind PBSA’s lucrativeness is an inherent one. Student accommodation, by its very nature, will be occupied from at least September to July. Once a tenant has been secured (as is possible in 98-99% of cases for IQ and Unite respectively), that tenant will make steady rental payments for the best part of a year before being replaced, after the summer, with a new occupant. Student halls’ value can even be maximised between academic years through their use as summer holiday lets. After all, PBSA rooms will differ little in functionality or size from those of a CitizenM or PremierInn Hub hotel. Rosy though this picture may be, it presupposes that a new tenant will be found. One major challenge which the PBSA sector will eventually have to confront is how to manage market saturation, as is already a threat in cities such as Liverpool and Newcastle. This is problematic as, in the event of a permanent drop in demand, it is not clear to what purpose these tiny units could be put. Rebranding into co-living developments is a possibility, but this is as of yet a nascent concept. Another equally ruinous development would be a decline in international students, starving the sector of its target audience. Whilst there was much talk of the abandonment of UK universities by overseas students in the wake of the EU referendum, figures from UCAS suggest continued growth in applications from outside the EU post-2016. More esoteric risks are as follows. If universities are relied upon to potentially foot the bill under nomination agreements, the impending risk of a university bankruptcy (the result, essentially, of increased borrowing against tuition fees following the 2012 rise) is not to be ignored. Equally, some caution against assuming that the traditional university format has much further to run, insisting that the migration of courses online may reduce demand for student accommodation full-stop. On a final note, council approval for student accommodation buildings, especially in London, is reportedly becoming more difficult to obtain. This makes sense from the point of view that students are exempt from council tax, tend to be viewed as disruptive and, cynically, aren’t as high-priority as young families or the economically vulnerable. The private student accommodation sector has become a well-established feature of the UK (and, international) investment and real estate landscapes. In the short-term, it is likely to continue to enjoy the high profitability it has enjoyed to date. Nevertheless, it is naive to expect exponential growth in the sector; there quite simply will not be further exponential growth in student numbers. Moreover, over-saturation, if not Brexit, spells turbulence ahead. Now seems a good time for a flick back over the revision notes, lest PBSA providers, and the network of investors they court, arrive at these challenges unprepared.